It’s a tough—and gargantuan—job, saving the planet, so why shouldn’t some of it fall to the recovering alcoholic, ex-arm-wrestling, street brawling survivor of a near-death experience? And maybe respected journalist Jim Robbins wouldn’t have listened to Michigan nurseryman David Milarch’s fantastic tale of visions, visitations and an angel-bestowed mission to clone America’s ancient “champion” trees for the good of the world if he hadn’t experienced the devastation of dead and dying trees and its effect on his own Montana environment. He had and he did, though, and the resultant book—served up in Mr. Robbins’s brisk, easy-reading journalese—contains some compelling lessons for us all. 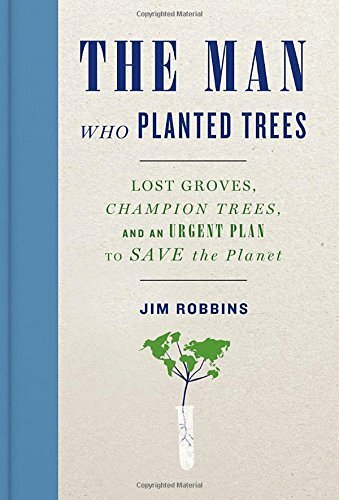 This book actually began a decade ago, he says, with vital questions he’d never heard asked until they were posed by this third generation shade-tree farmer who reckoned he’d died and gone to heaven—and then returned with the zeal of a used car salesman for his mission to clone the biggest, straightest and healthiest trees for future generations. The story Mr. Robbins tells is not only that of David Milarch. The trees, of course, are the main characters, with respected scientists taking supporting and informative roles along the way. As the ecological tragedy unfolds, it’s impossible not to become a believer, too. And in case you’re worried about the book’s own dead-tree implications, it was printed on Rolland Enviro™ 100 Book, which is manufactured using FSC-certified 100% postconsumer fiber and meets permanent paper standards.